Three maps available to war on. 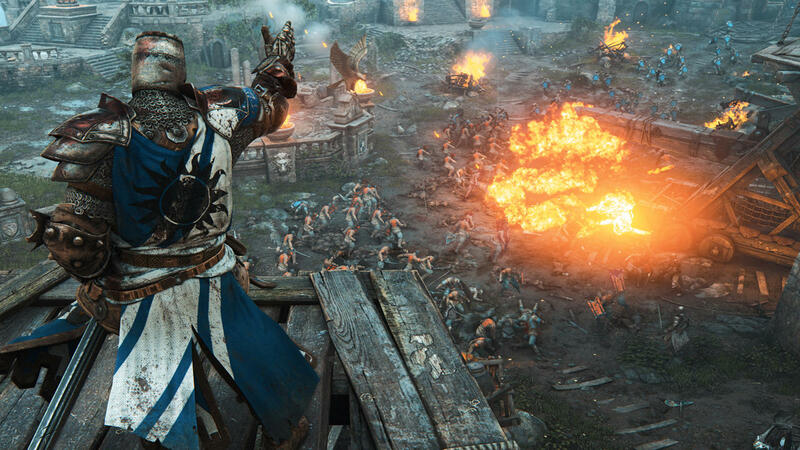 The closed multiplayer beta for Ubisoft’s For Honor will begin next week and the publisher has provided an insight into the kind of content that players can expect. Of the game’s 12 heroes, players will be able to play as nine across the three factions – Knights, Samurai and Vikings – while having access to five multiplayer modes. These include Dominion (4v4), Brawl (2v2) and Duel (1v1) among others yet to be revealed. There will be three maps to duke it out on overall. The previously mention Faction War will also be in full force and while you can read more about it here, it’s essentially a persistent meta-game for players in all three factions that also extends across platforms. For Honor’s beta begins on January 26th and ends on 29th for Xbox One, PS4 and PC. The full game is out on February 14th. Will you be picking it up? Let us know your thoughts in the comments.